Honey & Be was dreamed up by two best friends during a time when self care seemed nearly impossible to practice. When we took a step back from our lives, we realized that self care had fallen last on our priority list. We knew something had to change, but we didn't know where to begin. Determined to find daily reminders and ways to practice self care, we got to work on thinking about products that could fit the message we so strongly believed in... practice more of the self care you deserve. We wanted to provide a physical reminder and way for people to pause and do so. With a passion behind beauty, wellness and self care, we felt a calling to bring the three together... and so began our sweet company, Honey & Be. Honey & Be is on a mission to empower you to practice more of the self care you deserve. ‍HONEY is your reminder that you deserve to treat yourself sweet. BE is your reminder to practice BEing present while doing so. To us, beauty means glowing from within and living your life authentically, because that is when you truly shine! We believe that beauty means taking care of your beautiful self so that you can spread more light and love into the world. There is nothing that makes you more beautiful than taking good care of your mind, body, & soul. Our daily beauty rituals change depending on what we need, but we always do something to take care of our mind & body. We love to start our day off with an oat milk matcha latte, a meditation and reading an inspiring quote. For our morning skincare routine, we cleanse our face and apply a serum (we love the Caudalie Vinoperfect Radiance Serum) and an eye cream (currently using Origins Ginzing Eye Cream). 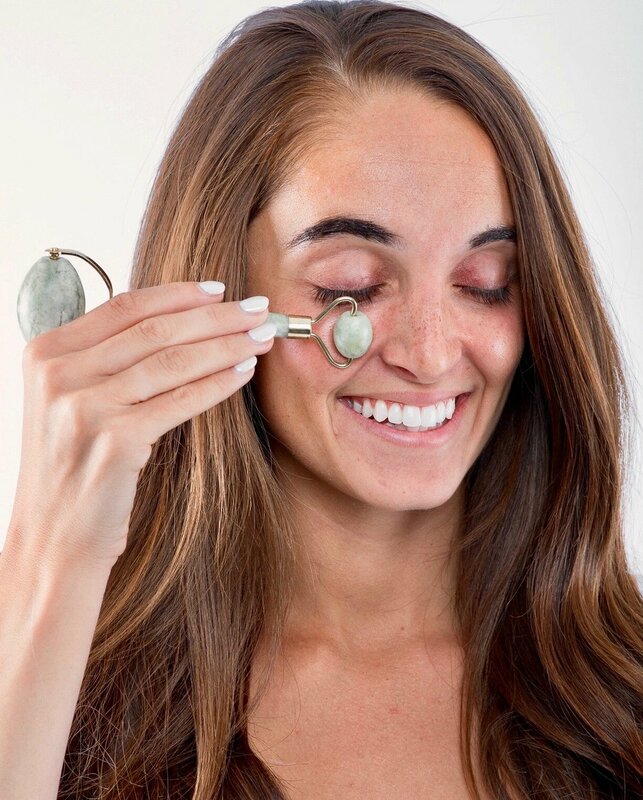 Of course, we follow up with a Honey Jade or Rose Quartz Roller for an extra pause of indulging and a beauty routine infused with good vibes only! We believe in tuning into what you need and creating beauty rituals that work for you. We love changing up our routine based on what we're going through or where we're at! We have some exciting things in the works for 2019, including new products, thoughtful new packaging designs, and self care events (hint, hint!)... follow along for updates!